Here is your chance to win $25,000 and some amazing prize packages including a safari. You can enter your submissions now and get your submission exhibited at an exhibition in New York. 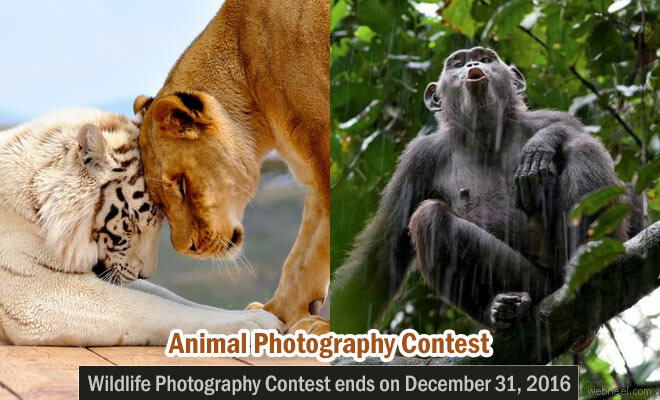 Wildlifephoto.com organises three separate contests every year and they are split into three themes. Currently Animal Behavior theme is open and you can submit your entries. To submit your entries, you have to register yourselves in wildlifephoto.com/ and you can start accessing the details. Login here: www.wildlifephoto.com/members/contest-join/. If you are a free user you can submit one image per theme during the contest. You can also choose to become a premium user by paying some amount and you can submit five images per contest and what's more you can submit in all the themes at the same time. Well this is restricted for the free users. Grand prize: A 7-day luxury African safari for two courtesy of The Bushcamp Company with a total value exceeding US $12,000! The winners and a selection of highly commended images will be exhibited on the “Big Screen”, a gigantic outdoor screen in New York City, USA. This is a 30 ft. HD screen is located at Hotel Eventi in the thriving Chelsea District of New York City.